Founded in 1975 in Wellesley, Massachusetts, by United States Equestrian team members, Dover Saddlery has grown to become The Source® for equestrian products. Dover offers a broad and distinctive selection of competitively priced, brand-name products for horse and rider at all levels of riding. Our mission to offer world class service and quality products to all riders is at the heart of every decision we make. Visit us in store today and sit in the saddle of your dreams, speak to one of our saddle consultants or have a personalized fitting for tall boots or helmets. Our stores are staffed by riders just like you and every product we offer is backed by a 100% satisfaction guarantee. For over 45 years, Dover Saddlery has been supporting horse and rider starting with their very first lesson. Our commitment to our local store riding communities is important to us. To learn more about how Dover Saddlery can support your horse show, club or event, please ask your store manager about our Grassroots Sponsorship program. Thank you for riding with Dover Saddlery. Click Here to visit our sponsorship page. Click on your local store page for information about store specific locations, store hours, driving directions, and events. No store near you? Shop our entire assortment of equestrian products online! 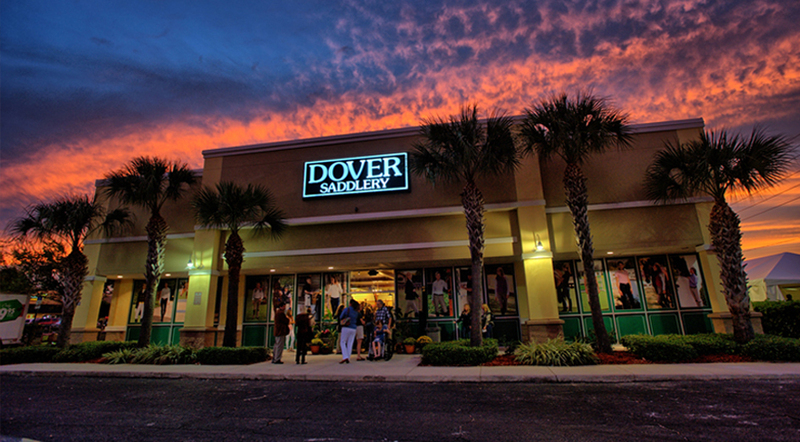 Stores are owned and operated by Dover Saddlery Retail, Inc.